Game Description: Under the sea there are a lot of interesting creatures. Wonderful pearl is waiting for a brave diver. The dolphin will show you the way at the bottom. Whom will you present the pearl? May be there will be 15 pearls in 15 free games. May be you will take a risk game Black or Red. It does not matter. Have fun with nice designed reels and lines from Igrosoft. Push the button and make a real bet. Don`t be surprised with bonuses and scatters. It`s a GAME! Internet users must expect to encounter different kinds of offered gambling games. 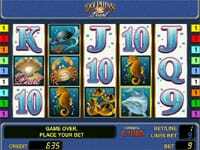 The most frequently offered and played casino game is the virtual video slot. 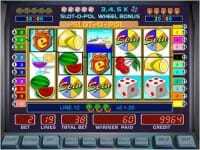 The basic aim of any online slot is to match up symbols on the pay lines. However, there are many other ways to win games, which is why you should check the bonus features before trying out any new slot. Thanks to the introduction of wilds, scatters, bonus games and other features, online slots provide multiple ways to form a winning combination. 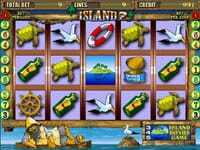 Slots are fun and have been known to make people rich with a single click!